Are you based in Hamilton and are you thinking about investing in a full basement renovation? If so, you are making a wise move. Finishing your Hamilton basement isn’t just a smart home renovation idea. As well as adding an extra bedroom, kitchen, or media room to your home, you can also add significant market value. If you are dreaming of a better basement, Cap-Able can help. Serving Hamilton and the surrounding area, we can transform whatever your dream is for your basement, into a value-adding extra living space. What is a Basement Renovation? A basement renovation can be either full or partial. Full finishing in Hamilton results in a full-height living space occupying the entire area under a property first floor. Conversely, a partially finished basement will not occupy an entire property footprint. When planning any renovation, homeowners should always work closely with licensed and reputable contractors. At Cap-Able, we start this process by having basement architects plan renovations around drainage, waste disposal, and home heating systems. Not to be confused with basement remodeling, finishing transforms previously unused space into completely new home habitation areas. Finishing a basement allows Hamilton homeowners to increase the size of properties considerably. Cap-Able can transform unused space in a Hamilton basement into a beautiful extra bedroom. Alternatively, homeowners can add additional functionality by adding lifestyle enhancing kitchens, bathrooms, and entertainment areas. Regardless of the purpose of a renovation, finishing a basement will usually yield a return on investment of 50% – 70%. As a bonus, finishing basements helps homes sell faster by boosting the appeal of properties to home buyers. 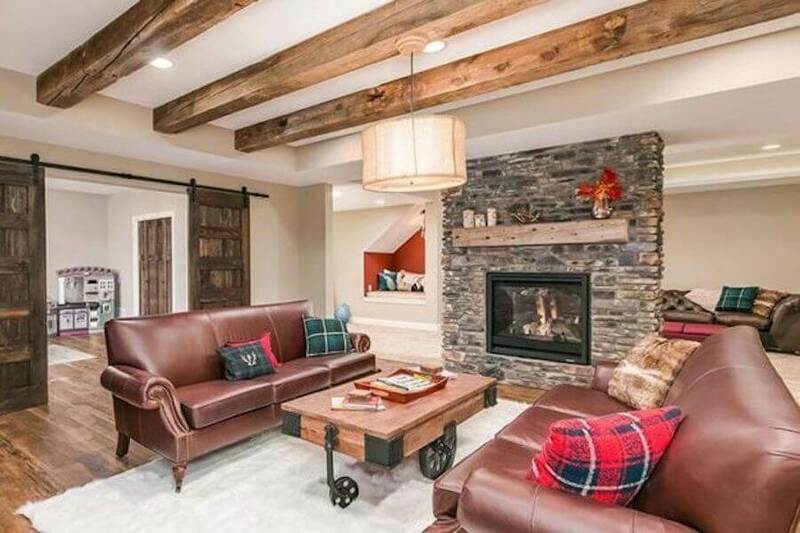 Before finishing a basement, Cap-Able engages in a thorough client discovery process. The intended use of a new living area will always necessitate the inclusion of different design elements. Bathrooms and kitchens will require considerable plumbing. Meanwhile, extra basement bedrooms will usually be expected to be of a certain size, as well as abide by local building code concerning fire safety. Finishing a basement requires careful planning and budgeting. It can also be complicated knowing what permits might be necessary. Cap-Able makes the entire process easier while delivering basement renovations our clients are never disappointed by. To find out more, call or contact the Cap-Able team to discuss your renovation plans. Generate extra rental income by transforming a basement into a standalone apartment, complete with a self-contained kitchen and bathroom. Completely transform the layout of your Hamilton home by moving kitchens to basement areas. Ideal for walkout basements, kitchens add considerable resale value and livability. Basement bars make striking additions to Hamilton homes. Add a bar and games room to your basement and instantly enhance the sociability of your property. Safety is paramount when adding a fireplace to a basement. Thankfully, Cap-Able can install natural and contemporary basement fireplaces 100% safely. Add a media room to your home by transforming an unused basement into your very own home cinema or epic games room. Increasing your home size as your family grows. Basement bedrooms add livability and result in an average ROI of 50% -70%. Work from home and manage your business more effectively by transforming an unused basement into a fully equipped home office. Add a Swedish inspired home sauna to a basement. Saunas promote healthy skin and circulation and add significant extra livability to Hamilton homes. Transform a basement into a versatile family room complete with optional games areas, entertainment systems, and basement fireplaces. Save on gym membership costs by finishing a basement and creating your very own home gym complete with optional sauna and WC areas. Cap-Able in Hamilton can transform a basement into a brand new home living space in just 18-days. We ensure high-quality finishes by using 3D basement modeling and state-of-the-art technology to take projects from concept to completion. Doing so reduces renovation costs while never compromising on quality of workmanship.